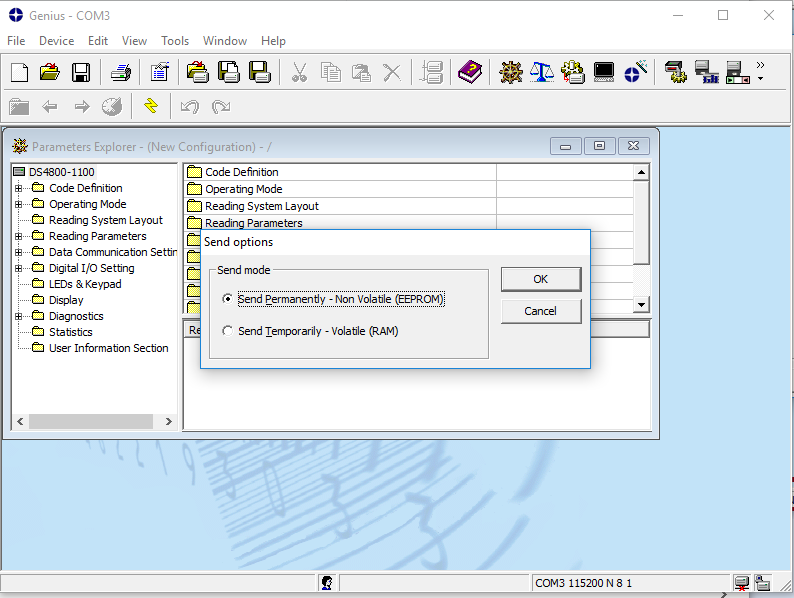 Datalogic industrial barcode scanners hold the configuration settings within the scanner itself (not in the CBX control box). 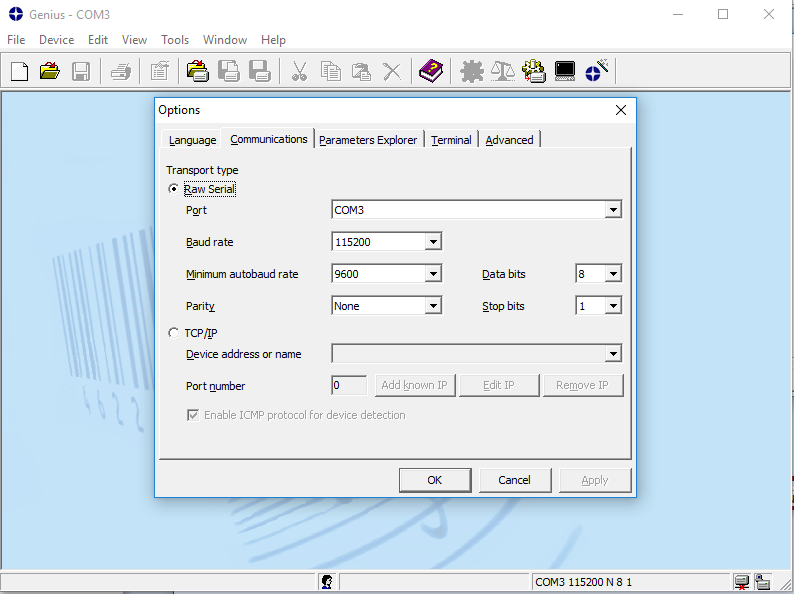 The user can access and update these settings by connecting a PC running Datalogic’s Genius software to a CBX control box via a serial RS232 connection. 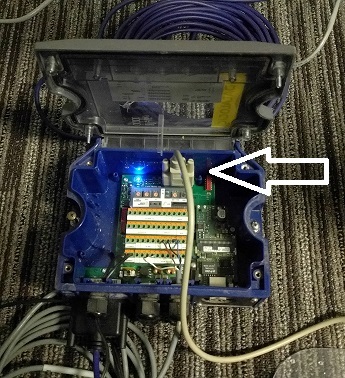 If that control box is then connected to the scanner, the user can download and upload settings from the Genius software to and from the scanner. 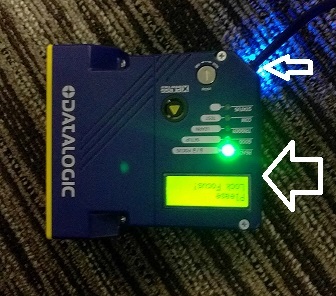 These instructions explain how to connect to a Datalogic industrial barcode scanner and update settings. 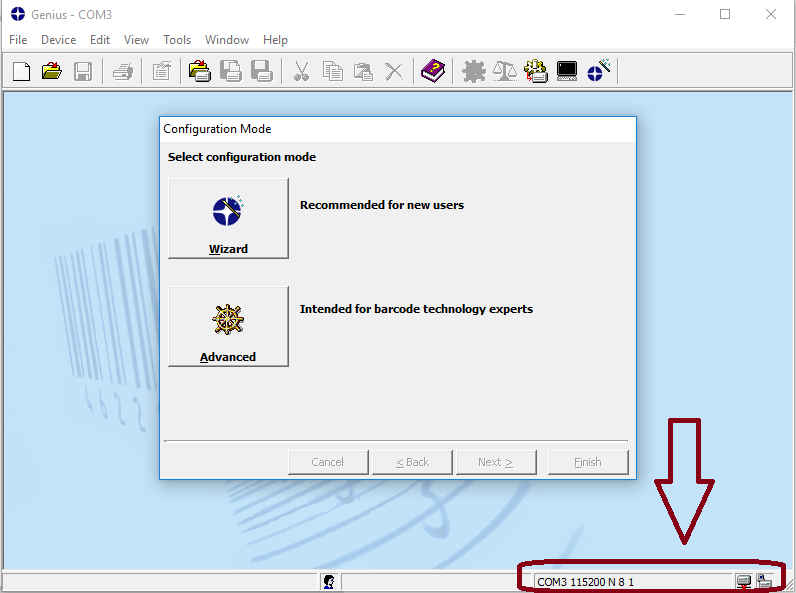 If Genius is able to open the port to the CBX box (and thus the scanner), the bottom of the window will show the connection settings (e.g. 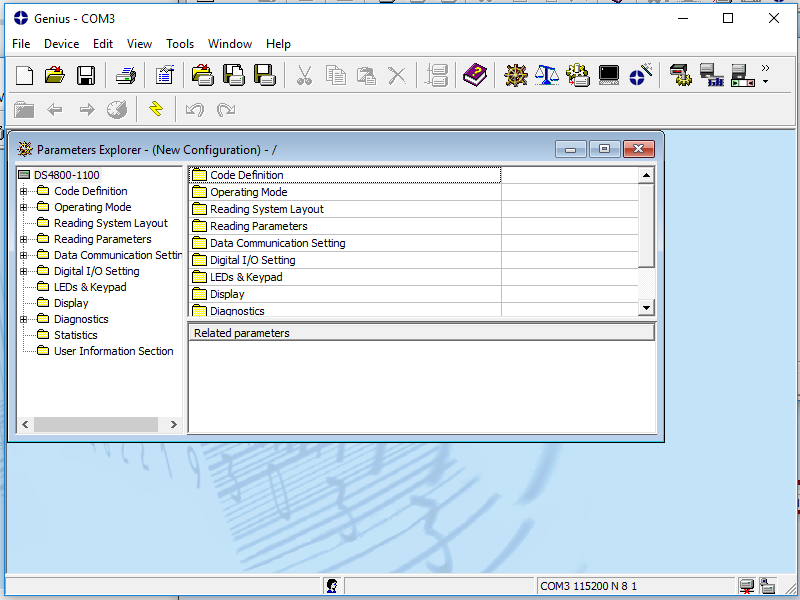 COM3 115200 N 8 1) and an icon that show a small ‘x’ near the bottom. Philips head screwdriver – CBX box secured with four standard sized Philip head screws.